Fan favorite! Cast beautiful rays of color throughout your room with our crystal prism fan pull. 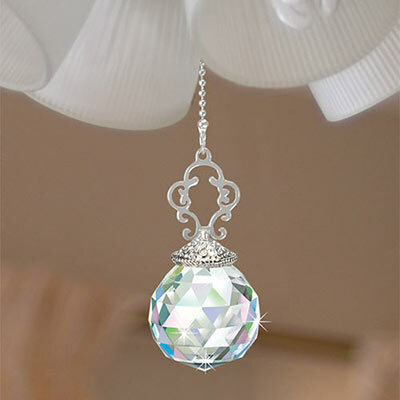 Iridescent sphere is faceted and accented with silver-tone filigree details. Attaches easily to standard existing pull chain. 2¼"h.
Chain wouldn't fit any fan pull I've ever seen. Can't use until I go buy another appropriate chain.